This is going to be my badge for Furry Weekend Atlanta 2018. It was a commission I got from Huffpup, and it turned out just as I would have hoped. 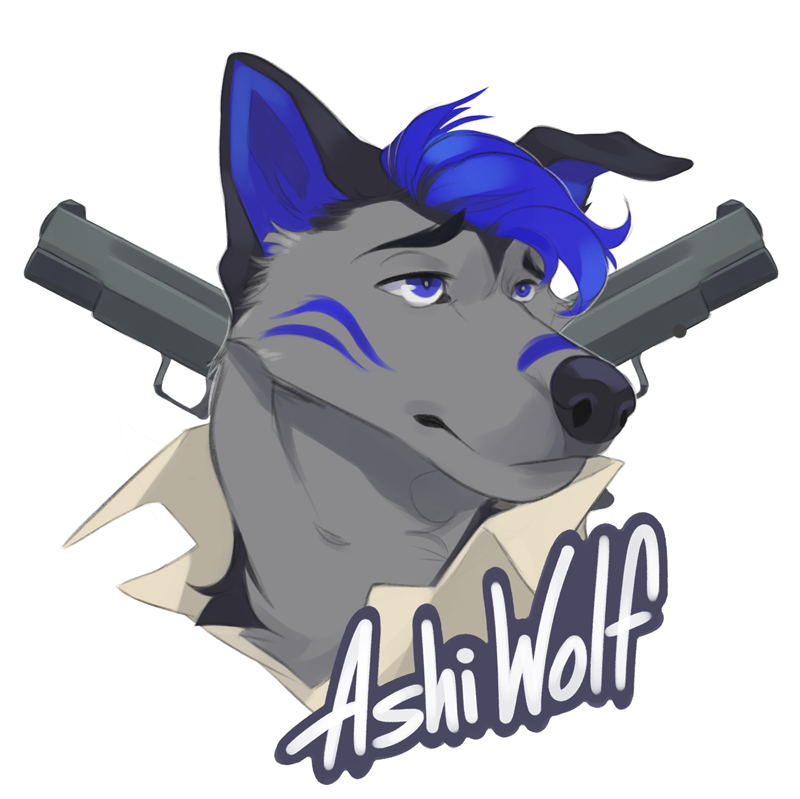 Since the theme of FWA this year is "Galactic Gunslingers", I wanted to something in the vein of Cowboy Bebop (Spike specifically) or Firefly, since those shows fit the theme well. I think Huffpup capture the essence of Spike pretty well for my badge and I'm excited to be wearing this around con this year! For those of you interested, you can find me working in the VGR (Video Game Room). I'd love to meet you, so come by and say hi!